There is a concept in Agile called Fist of Five. The notion is simple – when you come to a decision point and you need to make sure everyone is on board, you ‘vote’. 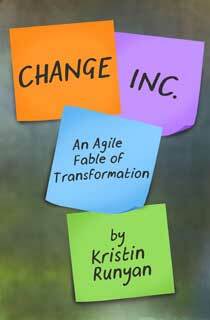 Agile is all about transparency and Fist of Five is one method to reinforce it. We do it like the game “Rock, Paper, Scissors” where everyone shows their vote at the same time. One – Two – Three – Shoot. In theory, this is supposed to keep people from being influenced by their neighbor, but honestly, we think it is just more fun. The voting works as follows: A team member will propose a direction forward and the team will demonstrate their acceptance by holding up their hand with the number of fingers that corresponds with their level of support. 5 fingers = I am all in. I completely agree. 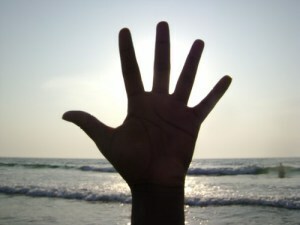 4 fingers = I buy into the option and I will support it. 3 fingers = I may have some reservations, but I can support the decision and move forward. 2 fingers = I have reservations and I cannot support this decision without further discussion and clarification. 1 finger = I cannot support this direction. I disagree. The moderator then reviews every person’s hand. If anyone is showing a 1 or a 2, then the meeting needs to pause to hear that person’s concerns and discuss them. If every person shows a 3 or higher, then you have consensus and can move on. Fist of Five works in a number of situations and people have found it to be quite powerful in the decision making process. Why does it help? Because it shines the spotlight on some of our cultural dysfunction and addresses it head-on. Here are several examples. We have all worked with this person. The one who is silent throughout a heated discussion about the available options. They don’t contribute to the conversation and they never voice their opinion. That is – until you leave the room. Because this individual chose to be silent in the discussion, they are free to openly criticize when things don’t go smoothly or additional information is learned later. These people can be toxic to an organization because they are quick to point fingers and say that they never agreed with the proposed direction. Fist of Five eliminates this option. Everyone has to vote and the person moderating the meeting has to acknowledge every fist. So as long as everyone in the room is showing a three or higher, we have expressed consent to move forward. No more silent but deadly. Another personality type that is addressed with fist of five is the person who will poke holes in every proposed plan but not offer any alternatives. Politicians are particularly good at this. It is relatively easy to point out the potential deficiencies in any presented idea. It is far harder to come up with the idea or alternative to begin with. Let’s be honest, the reason why we are discussing and voting in the first place is because we don’t have an ideal solution. If such a solution existed, it would be implemented without debate. The very fact that we are having a meeting suggests that all options on the table have risks or flaws. Fist of Five encourages (forces) the naysayer to actually contribute to the proposal. If someone throws a 1 or a 2, then the team needs to address their concerns – proactively, with a high level of engagement. Therefore, the naysayer must be willing to articulate their issues with the proposal and actively contribute to the discussion. It’s a beautiful thing. Fist of five is designed to make the fence sitter pick a side. They may never be the loudest advocate but they can no longer flip-flop because they actively voted on the proposed direction. Will fist of five work in every situation? Perhaps not. There are intimidating leadership styles who will secure votes of a three or higher out of fear rather than true alignment. But far more often than not, Fist of Five is a great tool to facilitate the types of spirited and passionate discussions that should accompany big decisions. Try it. In your next team meeting at work or vacation planning with your family – have a vote. One – Two – Three – Shoot. See where everyone stands. It might prove to be quite eye-opening.